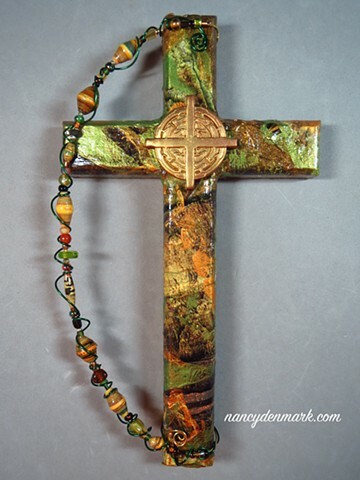 The circle of the Spirit Flow cross at center evokes a sense of the world with the cross of Christ anchoring the center and four compass points. The circle, a symbol of eternity, also reminds us that through Christ we have eternal life. The outward flow of lines from the cross, encourage us to carry His light out into our world. When focused on Christ as our anchor and center, we may serve as vessels for the Holy Spirit to flow and work through us, as we take our faith in action out into the world.